Interlining essentially allows partner airlines to sell connecting flights under a single fare. 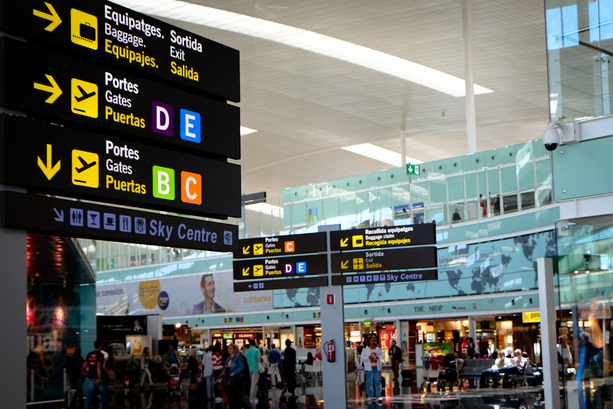 The connecting flights are result of an official contract between both airlines. As a benefit, passengers can check-in their bags to the final destination and are issued boarding passes for the whole journey. Virtual interlining has similar meaning to the traditional interlining, but as the terms implies, there is no contract between the involved airlines. The airlines themselves regard the “virtual interlining” passengers as point-to-point ticket holders and are not responsible for baggage transfers and missed connections. The responsibility for the latter lies within the provider of the “virtual interlining” fare. The provider can be a global distribution system, online travel agency or in some cases an airline (e.g. WOW air) or an airport (e.g. GatwickConnects). What is the difference between self-connect and virtual interlining? In essence, both terms refer to the same process: passengers travel on connecting, but non-related flights. Self-connect implies that the passenger is fully aware of how the trip is constructed and often the passenger himself is behind the engineering of the trip. A typical example of a self-connect trip is the following: A passenger residing in Glasgow wants to fly to New York. He finds an attractive British Airways fare from London to New York and books it. The flight leaves in the afternoon. The passenger then separately books a convenient easyJet flight from Glasgow to London leaving in the morning. The passenger self-connects in London, leaving enough time between the flights to make the connection. Virtual interlining refers to an organised process, where travel providers (e.g. online travel agencies) bundle separate flights together and present them to passengers as seamless combinations. The passenger may or may not be aware that the presented option is a self-connect flight. In a typical scenario, the travel provider would quote a total price for the combination and would provide certain protection in cases of missed connections. In other cases the travel provider would not offer protection and would clearly state that the risk lies fully within the passenger. Either way, the passenger would need to follow exactly the same steps as in the self-connect scenario: check-in for all flights separately, collect baggage at the transit point and re-check it again. As virtual interlining is a relatively new trend in aviation, no strict guidelines exist yet as to the exact features of the “virtual interlining” product. Virtual interlining products can be booked at popular sites such as Skyscanner and in fact millions of travellers around the world already travel this way. Needless to say, the main drivers behind this trend are the massive growth of low cost carriers, globalisation and evolution of technologies. There are companies already that offer technology and services in the area of virtual interlining such as SafeConnect.